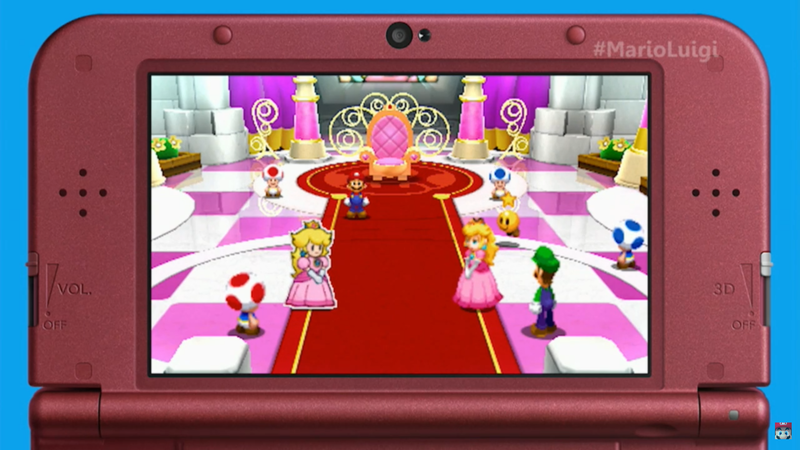 Walking through Nintendo's E3 2015 floorspace was like a childhood dream come to life. On a big screen, players tried out Super Mario Maker levels before voice actor Charles Martinet came out to address the crowd (in Mario's voice, of course). 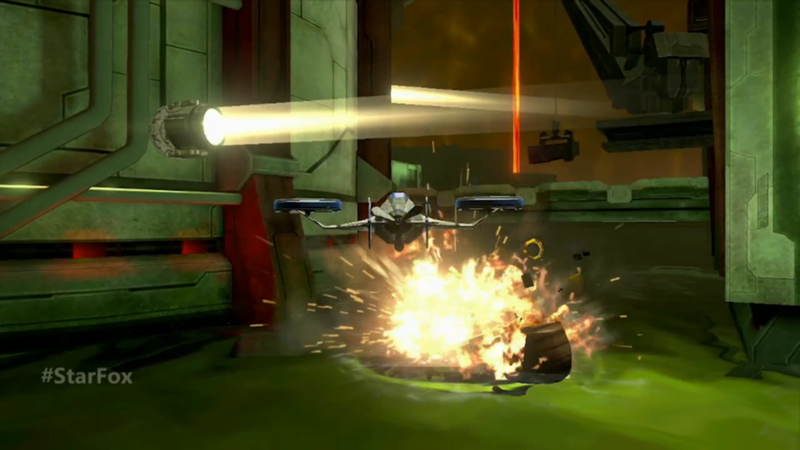 Members of the Treehouse conducted interviews with developers, which were streamed to fans around the world. Every kiosk was packed, making it hard to move from place to place; I was relieved to be guided to a closed-off press area for my demos. Most of my hands-on time at the booth was spent gleefully experimenting with Super Mario Maker. 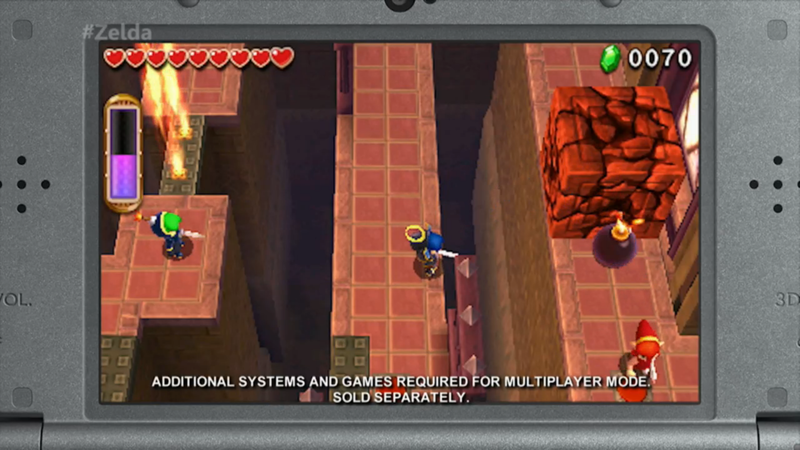 While that was clearly the big N's standout title for me, I did get limited hands-on time with three other upcoming games: The Legend of Zelda: Tri Force Heroes, Mario & Luigi: Paper Jam, and Star Fox Zero. There's plenty of gameplay variety and fan-favorite characters to be found among all three, but because Nintendo is clearly preaching to the converted, none are likely to garner new devotees. That's not to say I didn't like Nintendo's offerings; my experience with the games ran from positive to neutral. Since I was already at a Wii U station, a Nintendo rep switched the demo from Mario Maker to Star Fox Zero. 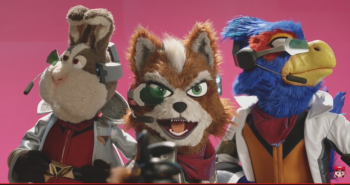 "Are you a big Star Fox fan?" he asked. "No," I replied sheepishly. "I know that's kind of blasphemous." Despite owning every Nintendo console ever released in the United States (assuming the Virtual Boy doesn't count), I was never able to enjoy the series the way my friends did. Still, I gave it a whirl with an open mind to see if the upcoming title could sway me. Short answer: nah. 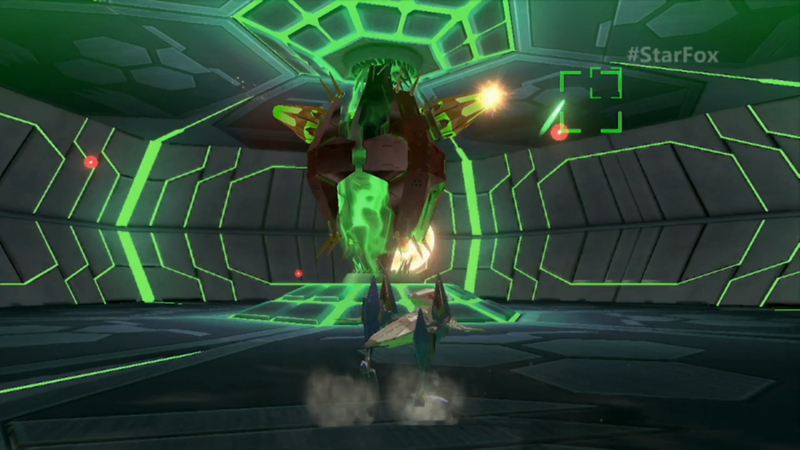 The characters are likeable and the gameplay is pure Star Fox, but nothing about the demo changed my mind. It didn't help that I found it really difficult to use the GamePad's motion controllers to aim; I found it hard to move in situations that required quick action, and often ended up soaring in the wrong direction. What I did like, however, was being able to transform into another vehicle with the push of a button. When the situation called for more precise movement on the ground, my airborne vehicle became a bipedal walker. I could still move and shoot, and taking to the skies again was just as easy. After finishing a single mission, however, I was more than ready to move on. 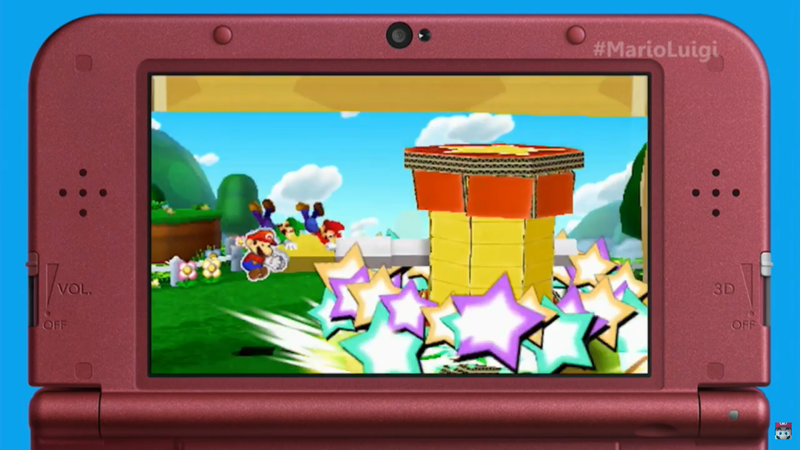 That's how I found myself holding a 3DS with Mario & Luigi: Paper Jam ready to roll. 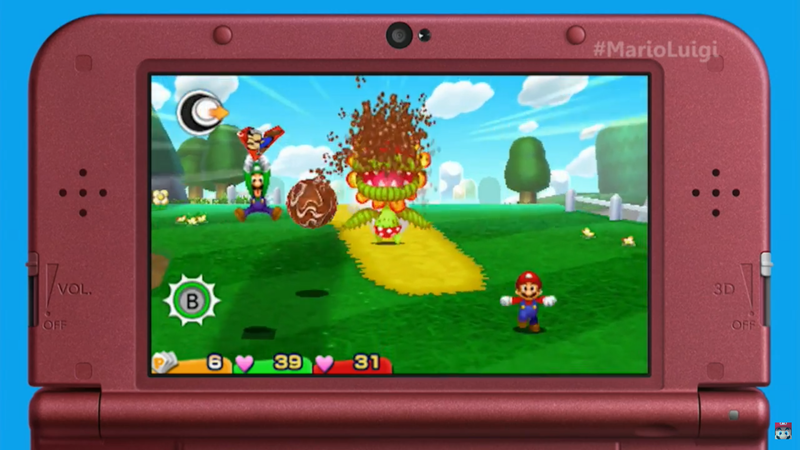 I was so excited when Nintendo announced this title at its June 16 livestream; the combination of Paper Mario's aesthetic and Mario and Luigi's light-hearted RPG gameplay seemed like a winner. Paper Jam mixes the elements of both series intelligently and humorously - I couldn't help but smile watching the paper-thin Mario interact with his more traditional, well-rounded counterpart. 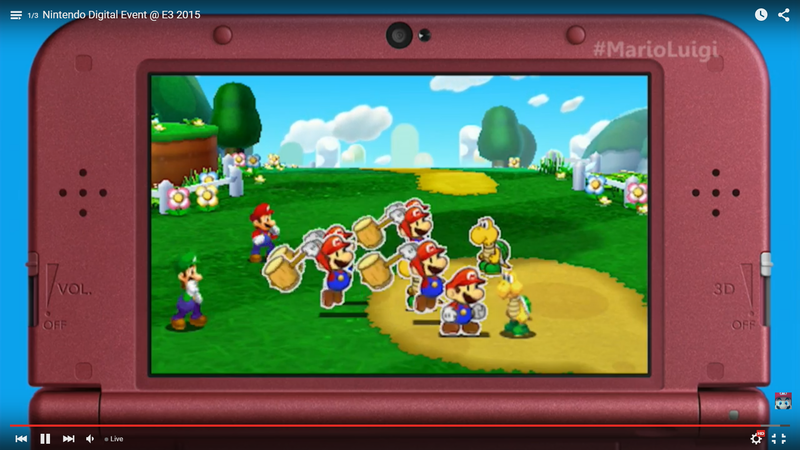 The turn-based battles are quick and varied, with Mario, Luigi, and Paper Mario each taking a turn. The only problem with this is they each require a different button to act. When it comes to carefully timed attacks and split-second defensive maneuvers, that's a problem. I found it hard to switch between three action buttons after a lifetime of pressing A to jump. In a panic, I repeatedly hit the wrong button when being attacked or in the mini-games that sometimes pop up mid-skirmish. Luigi! Jump to avoid this--oh, whoops, I made Mario jump again. It definitely didn't turn me off to the game, but it's going to take better reflexes than I currently have. That said, this is definitely on my list - but I'm glad it doesn't come out until 2016, because I don't know if I could make it a priority in the crowded 2015 line-up. 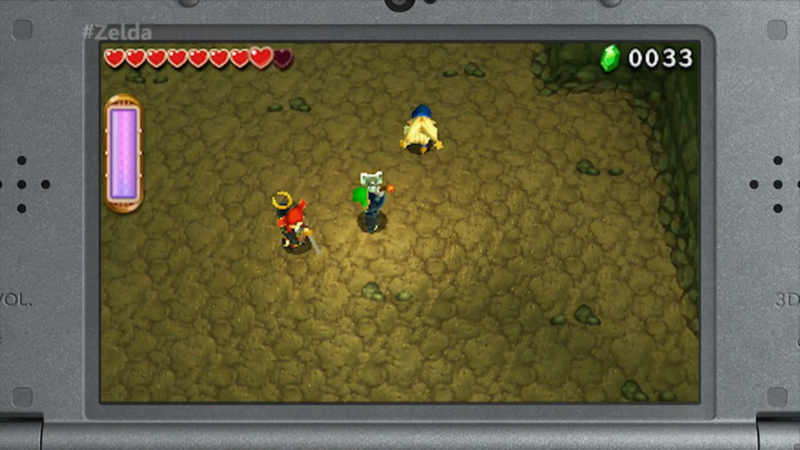 On the other hand, The Legend of Zelda: Tri Force Heroes will absolutely be on my 2015 3DS must-play list. I didn't get to experiment with the various costume options, which is one of the big draws of the three-player cooperative game. I did, however, work with two other players with limited communication (the E3 floor is LOUD) and have a lot of fun doing it. I loved the strategy involved in fighting bosses and clearing levels. In a pinch, we could climb on top of each other to form a two or three-Link totem, letting us throw farther and hit hard-to-reach environmental triggers. Or, you know, you can throw each other off of platforms and watch your shared heart container deplete. That's fun too. 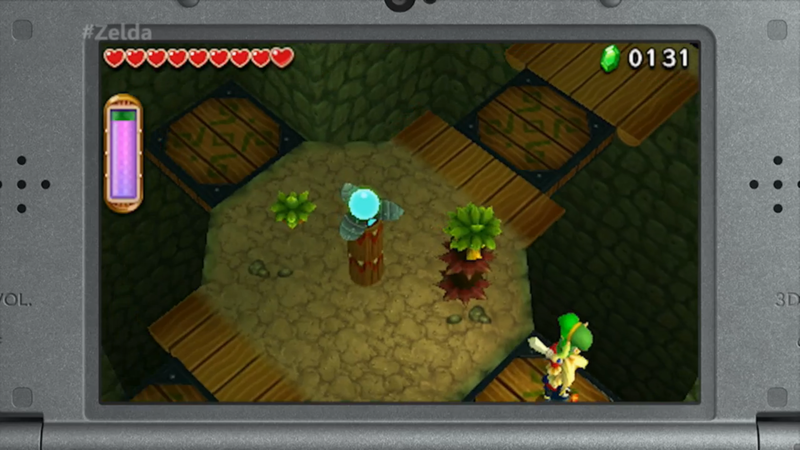 Of course, I'm already a hopeless Zelda fan; the big challenge will be getting my Nintendo-agnostic husband to team up with me when Tri Force Heroes comes out later this year. More likely, I'll be playing with strangers online or two AI partners, but whichever way it goes, I'll be playing. 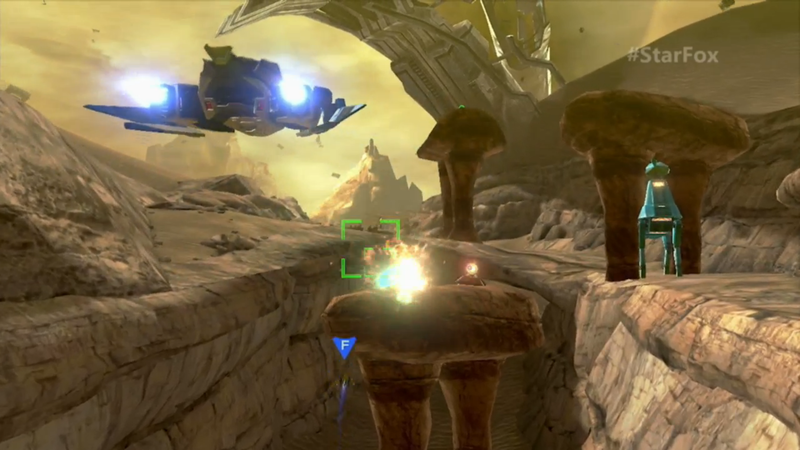 Some people criticized Nintendo's E3 briefing for the lack of new content; the only reveals were entries in existing series and release windows for previously announced games. That feedback is fair, but I see it more optimistically: having lost the battle to be recognized by major third-party publishers, Nintendo is putting its all into the franchises that made it a legacy. If I were a single-console gamer this would probably bother me, but as long as I have plenty of gaming outlets, I'll happily use my Wii U as a first-party machine as long as Nintendo supports it.